Originally a Tudor fortress, Walmer Castle evolved into a stately-home for the Lords Warden of the Cinque Ports, and became the residence of famous names from the Duke of Wellington to Queen Elizabeth the Queen Mother. Inside, our exhibits and collection bring to life Wellington’s career, and the story of his life and death. You can even see the original Wellington Boots. 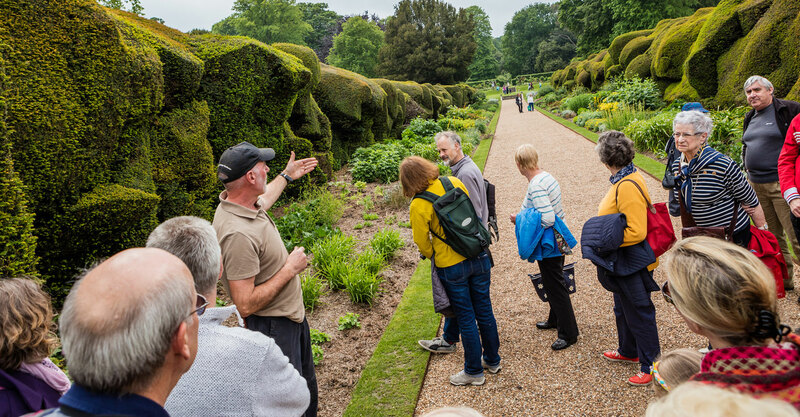 Outside, discover new interpretation and tactile displays among eight acres of award winning gardens and woodland, telling the story of Walmer’s garden landscape as never before. After a day of exploring, relax at the new Glasshouse Café, and enjoy afternoon tea in the beautiful setting of the kitchen garden. Opening at the end of April 2019, bring your little adventurers and try the new natural play trail, with hollow tree trunks to climb and giant nests to hide in. Also open from the end of April is the glen, a tranquil sunken garden made within a former chalk quarry, accessible for the first time in over 100 years. With support from the National Lottery Heritage Fund, a £2.3m project is currently underway at Walmer, aiming to revive and reunite gardens begun by William Pitt the Younger and assisted by his niece, Lady Hester Stanhope. The rejuvenation of these historic pleasure grounds is combined with significant improvements to our facilities which you can now enjoy during your visit. Faced with an alliance between Spain, France and the Pope, Henry VIII commissions a chain of defences from Hull to Milford Haven. Henry builds castles on the Kent coast, including three at Sandown, Deal and Walmer. More than 1,400 workmen complete building works in 18 months. A captain, lieutenant, ten gunners, four soldiers and two porters form Walmer’s first garrison. With the outbreak of civil war in England, the three castles come under Parliamentarian control. Fear for the future of the monarchy provokes a Royalist uprising. In Kent, Royalists occupy Sandown, Deal and Walmer castles, all of which are recaptured after siege and bloody fighting. The Duke of Dorset makes Walmer Castle an official residence as Lord Warden of the Cinque Ports and builds a new apartment and a garden. Prime Minister William Pitt is Lord Warden of the Cinque Ports. He makes improvements to the house and, together with his niece Lady Hester Stanhope, creates the framework of today’s extensive gardens and grounds. The hero of Waterloo is made Lord Warden and frequently stays at the castle in summer. He often entertains and has friends and family to stay. Queen Victoria stays at the castle for nearly a month with Prince Albert and their children. Wellington dies at Walmer. His room is now displayed as it was on the day of his death. Earl Granville is Lord Warden. He and his wife improve the grounds and have extra rooms built above the gatehouse. WH Smith, bookshop owner and politician, Lord Warden for only six months, sets up a trust to ensure the historical furniture remains in the castle forever. As Lord Warden, Earl Beauchamp enjoys Walmer with his family each summer, holding parties, tennis and croquet matches, pageants and dances. Beauchamp lends Walmer to Prime Minister Asquith as a weekend retreat. Guests include Lord Kitchener, poet Rupert Brooke, author Henry James and Winston Churchill, later Lord Warden himself. Queen Elizabeth the Queen Mother stays at the castle every year, as Lord Warden. She takes a close interest in the gardens and grounds.